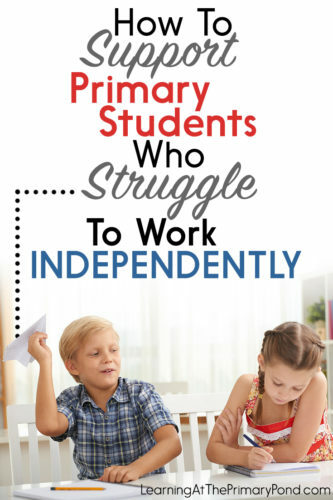 Do you have a few little friends in your classroom who have a HARD TIME working independently? As in…you get everyone started in centers or independent work, and these little friends just can’t seem to get started…or stay engaged and on-task? It seems like I always have at least 1 or 2 kids in my class (if not more!) who have a very hard time working independently. And I’ve talked to SO many other teachers who are facing the same challenge! In my opinion, it’s just as important to teach kids independent work skills as it is to teach academics! It’s easy to get frustrated when we’ve prepared great independent work activities and thoroughly modeled them—and some kids still don’t get on board. BUT we have to remember that, like any skill, teaching independence takes time. 1. Look for possible causes of the behavior, and adjust your strategy accordingly. If you have a child who is really struggling to stay on-task during independent work time, it’s important to figure out WHY that might be happening. Consider setting aside 5-10 minutes to observe the child from a distance. Is the work too easy or difficult for the child? Does the child know what to do? Is the child seeking attention from peers or me? Does the child struggle with sitting still or attending to one thing for a long period of time? 2. Track students’ behavior with them, and encourage self-reflection. If the ideas in #1 don’t yield results, try tracking students’ behavior on a daily basis. If you’re familiar with the PBIS behavior system, then you might already use “check in/check out” sheets with students. I know that all schools implement these sheets differently, but if you’re not familiar with them, they are daily sheets that certain students carry with them throughout the school day. After each subject or block of time, the teacher rates the student’s behavior (with student input). These sheets are sometimes used to improve overall behavior, or to focus on a specific goal like participating more in class, or using a quiet voice. Anyway, the reason I bring up check-in/check-out sheets is because the concept can be applied to helping kids work more independently during centers or other independent work times. 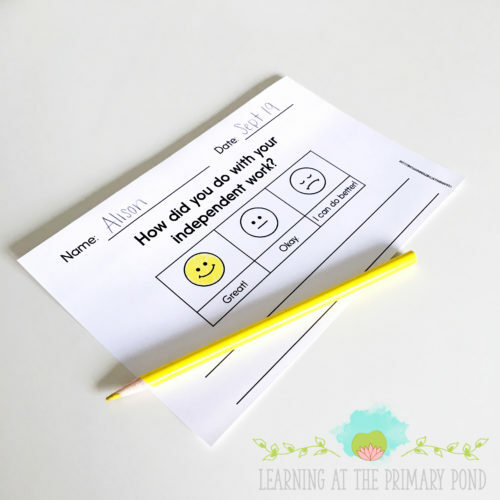 Even if a child doesn’t need a check-in/check-out sheet for the entire day, a simple behavior chart might be helpful for independent work time. Give students their independent work sheets at the beginning of centers. Provide a little reminder about what you expect. During centers, keep an eye on these students as much as possible (or get help from an aide/volunteer). Do this on a daily basis, until the student reaches a certain goal, like 5 days in a row of smiley faces (you would share this goal with him/her beforehand). Also, if you choose to associate rewards with a behavior sheet, I recommend selecting prizes like getting to eat lunch with you, a special note or phone call home about the excellent behavior, or something along those lines. We want to develop intrinsic motivation in our students. When I discuss kids’ progress with them, I say things like, “Wow, you must really be proud of yourself” or “You got a whole lot of learning done today because you were so focused!” I try to emphasize their OWN feelings of pride in their accomplishments, rather than communicating that the goal is to make me (the teacher) happy. If you’re interested in this type of chart, click on the image below to get my free literacy centers toolkit (the chart is included in the download). 3. If all else fails, forget the whole “independent” thing altogether (temporarily). Let’s say that you’ve tried all of these strategies, and you’re still not getting anywhere. And maybe the child is a) harming other students, or b) distracting other students so that they aren’t getting any work done. I have been in this situation before, and it’s a tough position to be in—especially if you don’t have an aide or other adult help in the classroom. On one hand, you want to give the child an opportunity to learn and practice independent work skills. But at the same time, you can’t compromise other students’ rights to safety and learning. I don’t do this often, but in extreme situations, I will temporarily take away the privilege of independent work. Then, I have the child complete the same (or similar) independent work activities—but while sitting on the floor near my guided reading or small group. I have the child face away from the group, so that they don’t distract us. But the student is still close enough for me to supervise. I hate to isolate kids, so I make sure that this is a temporary intervention. Again, I use it sparingly, and only when other kids’ safety and learning is being affected. These are my 3 main strategies for helping kids learn to work more independently. What are yours? You can leave your ideas or tips in a comment. I’d love to hear them! ← Don’t Let the Internet Ruin Your Confidence in Yourself as a Teacher! Thanks so much for your valuable post! I’m going to use your post to help me really focus on and evaluate my independent literacy center time in my classroom so that I️t can be more effective. What’s excellent about this post is that I was able to visualize some of my Challengers in the classroom. I was also able to reflect upon some of my own practices that may actually trigger some of the non desirable behaviors…. Looking forward to implementing yet another practical approach you’ve generously shared. Thank you so much for sharing! I cannot wait to utilize these strategies in my classroom. I love the strategies. I think always is very important to look for the posible causes of the behavior and adjust the strategies. I like the questions you share to reflect about the behavior. Thanks for sharing these helpful tips. I can see many benefits to these strategies. Thank you forexpaining the strategies to support children who struggle to work independently.I would like to implement all three of them according to the required situation and i believe this would really help children to build confidence and work independently in class. Thank You for such good & supportive ideas which I can implement in my class according to my needs in future. Thank you for guiding us with these strategies, these are really helpful. I can implement these in my class according to my needs. 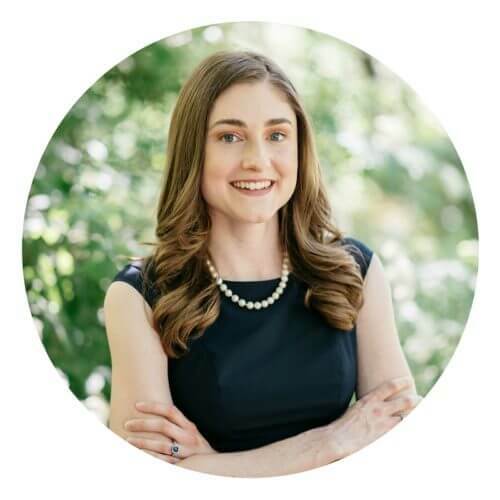 You’re so welcome – thanks for reading!! i requested the literacy centers toolkit 2x and haven’t received anything yet. I’m particularly interested in the independent work behavior chart.